With HTML5, sites like eBay could have a “take photo” button directly on their page. This would launch the camera right in the browser. Snapping a picture will save directly on the web page. Two steps instead of six. Sounds dreamy. But as with any highly touted tech, there does come a dose of reality. Limited access to deeper function of the device. Very few devices allow web sites to access functions like camera or contact list functions to allow an HTML5 based web page to “take a picture” or to auto send a text to your friend. Some of this is done for security reasons. Hardware developers are loathe to provide a connection from a browser to deeper functions. Imagine a rogue web page downloading pic of your kids from your phone. Of course there will be solutions to this problem, but for now, web pages must be contained within the browser environment. However, before browsers can gain access to other phone functions, they need to all come up to speed with their desktop counterparts regarding compatibility with all the great things HTML5 has to offer. The W3C has developed a specification document for HTML. According to www.caniuse.com, the most compatible browser is Mobile Opera at 68% compliant followed by iOS Safari and Android browser at 61% compliant. Their desktop counterparts are equally if not more compatible. It’s a chicken/egg problem. 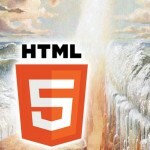 Without compatible browsers, there won’t be much development in HTML 5. But without many developers creating HTML5 web apps, there’s no need for compliant mobile browsers. Too much money made in app stores. The current economy of apps sold on app stores provides a fair amount of revenue for both developers and Apple/Google. App Store and Play are also powerful touchpoints for customers of each platform to merchandise popular apps. I would doubt that Apple would want to allow web browsers to access deeper functions of the phone since it would decentralize app distribution. This would mean less control over many things: revenue, customer access, and quality. With the ability to distribute “native” app-like experience through the web means bigger developer shops like Rovio can make more money. Conversely, individual developers or smaller shops would be lost in the crowd without an app store’s ability to track up-and-coming apps and customer reviews. HTML5 offers a lot of promise, but as with anything, the tech needs to be tested, devices need to provide more HTML5 friendly software, and companies will need to figure out how to monetize their HTML5 “apps” with or without a centralized app store.